Thomas Cruise Mapother IV, born on July 3, 1962, better known by his screen name of Tom Cruise, is an American film actor and producer. He has been nominated for three Academy Awards and won three Golden Globe Awards. His first leading role was the 1983 film Risky Business, which has been described as "A Generation X classic, and a career-maker" for the actor. 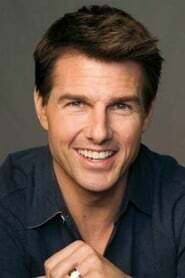 After playing the role of a heroic naval pilot in the popular and financially successful 1986 film Top Gun, Cruise continued in this vein, playing a secret agent in a series of Mission: Impossible action films in the 1990s and 2000s. In addition to these heroic roles, he has starred in a variety of other successful films such as Days of Thunder (1990), Jerry Maguire (1996), Magnolia (1999), Vanilla Sky (2001), Minority Report (2002), The Last Samurai (2003), Collateral (2004) and War of the Worlds (2005). In 2005, the Hollywood journalist, Edward Jay Epstein argued that Cruise is one of the few producers (the others being George Lucas, Steven Spielberg and Jerry Bruckheimer) who are able to guarantee the success of a billion-dollar movie franchise. Since 2005, Cruise and Paula Wagner have been in charge of the United Artists film studio, with Cruise as producer and star and Wagner as the chief executive. Cruise is also known for his controversial support of and adherence to the Church of Scientology. Cruise married Mimi Rogers on May 9, 1987; they divorced on February 4, 1990. Rogers is generally believed to have introduced Cruise to Scientology. Cruise met Nicole Kidman on the set of their film Days of Thunder. The couple married on December 24, 1990. He and Kidman adopted two children, Isabella Jane and Connor Antony. They separated in February 2001. Cruise was next romantically linked with Penélope Cruz, the lead actress in his film Vanilla Sky. After a three-year relationship, Cruise announced that their relationship had ended in January. In April 2005, Cruise began dating actress Katie Holmes. Shortly after they began their highly publicized relationship, on June 17, 2005, Cruise announced he had proposed to her at the top of the Eiffel Tower in Paris. On April 18, 2006, Holmes gave birth to a baby girl named Suri at Saint John's Health Center in Santa Monica, California. Cruise stated that the name derives from the Hebrew word for "princess" or the Persian word meaning red rose. She is the first biological child for both Holmes and Cruise. On November 18, 2006, Holmes and Cruise were married at the 15th-century Odescalchi Castle in Bracciano, Italy, in a Scientology ceremony attended by many Hollywood stars. Cruise owns a home in Murrieta, California. as "Maj. William "Bill" Cage"
as "Claus Schenk Graf von Stauffenberg"
as "Tom Cruise / Famous Austin ('Austinpussy')"
as "Dr. William 'Bill' Harford"
as "Cadet Captain David Shawn"